Home > Blog > Lowick Show and more…. The final country show in the calendar for the team was the Lowick Show 1st September. 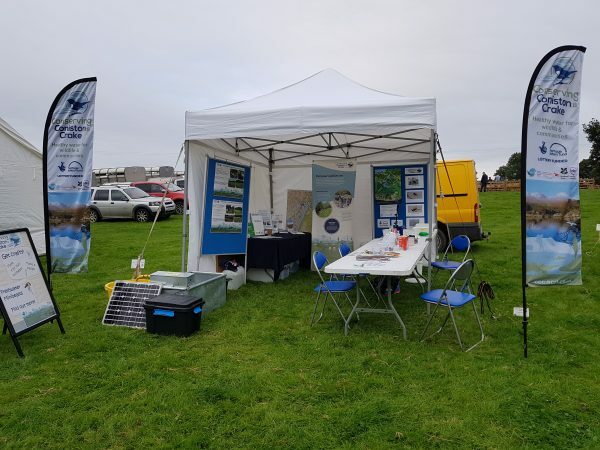 It’s an early start so Mike and I set up the gazebo the afternoon before so all we had to do on the Saturday morning was to catch some freshwater minibeasts and set out the displays. So we were good to go just after 8.30am when the show officially started. 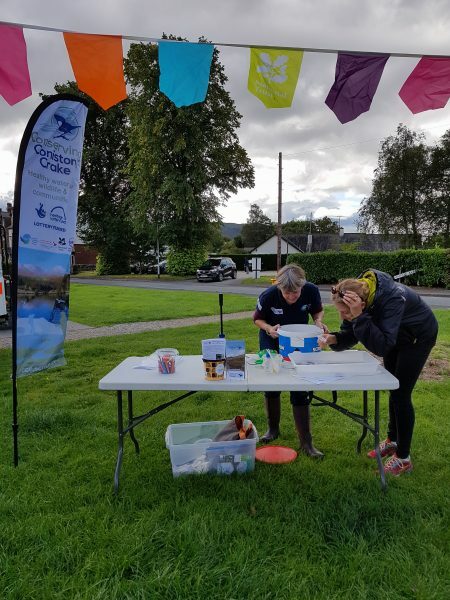 It began a little quietly but soon we became a little busier talking to people about water quality, protecting the becks and showing off our fine collection of minibeasts. We enjoyed our obligatory show food (burger with onions mmmm) and had a jolly good day. The next day saw me head off to the Coniston Sports & Social Club Family Fun Day. The weather however wasn’t kind to us, with rain from the start, despite the forecast of a dry day. A few families ventured out and once again the freshwater minibeasts proved popular. It was the first time the Club had hosted the day but plans to do it again next year. So I’ll join them again next year and bring along few of my minibeast friends! 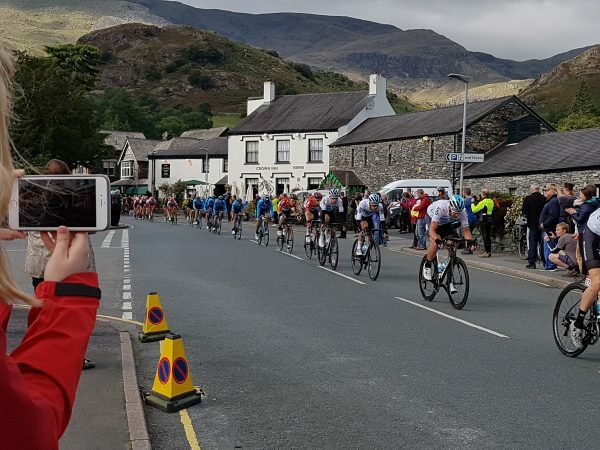 And finally, I joined a few other organisations in Coniston and put up a stand for the Tour of Britain as it passed through the Crake valley and Coniston village.